I shall deal with the second case, "Selling goods and services", in another article. In this article, I will address the issue of how your site can actually make money from advertising. If you look at many websites, you will probably notice that there are banner advertisements displayed on most pages. If you are a newcomer to the scene, you might think that you must either be a company or that your site must be famous before you can get advertisers, just as it is the case in hardcopy publications. In reality, anyone with a website can get advertisers. While it is true that if your site is well-known, you may get companies contacting you to offer to advertise on your site, you can get advertising revenue even if you are just starting out and your site is relatively unknown. The way to do this is to join as an "affiliate" of various sites, either directly, or through an affiliate network. An affiliate network is simply an intermediary where you can select from a variety of advertisers. Before joining any program, you should probably be aware of the different payment schemes available. Here, you are paid according to the number of times the advertiser's banner is displayed on your site. The amount you earn is typically calculated based on the number of thousand impressions of the banner (impressions = number of times the banner is displayed), often abbreviated CPM (cost per thousand, with the M being the Latin numeral for thousand). That is, $5 CPM means that you get paid $5 for 1,000 displays of the banner. 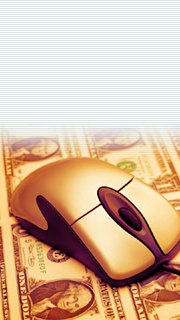 In general, the amount paid is usually small, but it is easy to earn since everytime a visitor loads the page, you earn. This is known as a "high conversion rate". Needless to say, this method will allow you to automatically earn more if your site attracts a lot of visitors. When you are paid per click, you are only paid when visitors click the advertiser's banner on your site. The amount paid is usually higher than the pay per impression scheme. Whether you get a high conversion rate here depends on the banner (whether it attracts people to click it), although in general, it has a higher conversion rate than the pay per sale method. A high traffic site will probably enjoy a higher click rate than a lower traffic site, although you will probably get better results if your banners are carefully selected to suit the target audience of your site. While you will probably get the highest payment rates with this method, it has the lowest conversion rate of the three schemes. You will only earn if your visitors click through the banner and either purchase an item from the advertiser or take some other prescribed action (eg, sign up for a service). Like the Pay Per Click method, you get much better results if you carefully select your advertisers to suit the target audience of your site. In general, to avoid wasting resources in issuing cheques for very small amounts, advertisers will usually accrue the amount owing to you until it reaches a certain level (such as $25) before they pay you. To join an affiliate network or program, simply go to the site and complete their online application form. Some programs will give you instant approval while others require a human to check out your application before it is approved. Once it is approved, you'll be given some HTML code which you can cut and paste into your web page. Note that some affiliate networks and programs will not accept you unless you have a domain name. How should you choose an affiliate program? My suggestion is not to choose a program according to the payment scheme, but rather according to the kind of people who are likely to visit your website. For example, if you are targeting parents on your site, links to affiliates with educational software, books and the like may generate more revenue than banners that link to web hosting companies. The most important rule of choosing an affiliate program is to know your target audience. Another point to consider is whether you really want to join every single affiliate program that comes your way. Some studies suggest that sites that make the most money from affiliate programs are affiliates of only a small handful of programs. Furthermore, concentrating your advertisements from one network may allow you to be paid faster. If you advertise for hundreds of different affiliate networks on your site, you may wind up earning only (say) a few dollars per month from each network. If your advertiser's minimum payment amount is higher than what you can earn each month, it may take you a long time before you accrue enough to be paid. Why wait? If you already have a website, let it earn even while you sleep (literally). Every day you let your site "idle" without advertising is a day of lost opportunity.